Ever get a numbered code when logging into your Launcher, or while playing and get disconnected? We have a list of Disconnection Codes to help you better understand possible issues. Disconnection codes are symptomatic of something going wrong. They inform you of a possible issue to check, or a situation hit on our servers or through your router, etc that is blocking full connection to the CIG servers. How do I find or see the codes? You may get these errors in pop-up messages when running the Launcher or game. You may also see these errors in the game.log or log.log file. For information on those files, see Send in game files for RSI support. The errors may trigger for multiple issues with connectivity, timeouts by the graphics, and more. The steps to get these codes can differ between environments, networks, systems, and local client files. For example, two friends each get a Code 20007/30007. While the error code is the same, the causes for each could be completely separate and independent of each other. Always pay attention to your actions in game when these occur. You can add that information when reporting to Issue Council or entering a ticket. When entering an Issue Council report, make sure that you add the Code error you get plus a brief description in the subject, such as “Error Code 20007 When Loading Into Crusader”. Code 10000 happens when the game client isn’t able to connect due to something preventing the game client from being able to find our servers. These will almost always be an issue that is client side. These situations should not occur unless the player is launching the game executable outside of the launcher or is preventing the launcher from updating login credentials or game files. Incorrect login JSON format for logindata.json - This should no longer be an issue with RSI Launcher 1.0.X. The logindata.json is generated every time you log in, and deletes when you close the game and Launcher. Always run the Launcher to login and run the game. Do not run the Star Citizen .exe directly. 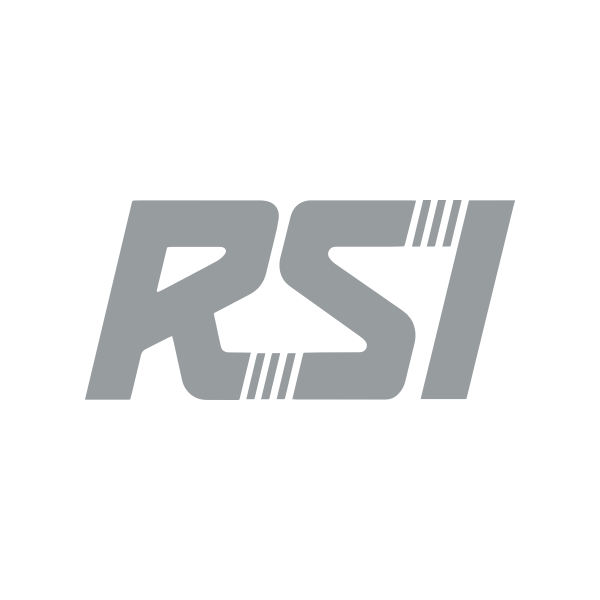 Ensure you have the latest RSI Launcher version and game version installed. You can click Settings > Verify files to check your local files against the server manifest. Ensure the logindata.json file deletes when the game and Launcher are closed. You can check this location: (installed drive)\Program Files\Roberts Space Industries\StarCitizen\LIVE. This file should be removed with every run of the Launcher. You may want to verify the file is deleted with the launcher closed. Code 10001 happens when the game client is having issues connecting to the authentication service. This can occur if RSI authentication servers are down or unreachable for any reason. Log out of website and client, then retry launching the game. Code 10002 occurs when the client can't connect to authentication or hub service. This can occur due to internet connectivity issues between client and server, or hub servers being offline. Try creating and connecting through a VPN to a different geo-location to troubleshoot. Disable unusual configurations in firewall/router. For more information, see Troubleshoot error 10002. Code 10003 occurs when the game client can connect to the authentication service but either has corrupted persistence cache data or is unable to reach the database to get its persistent data. Delete USER folder located in (installed drive)\Program Files\Roberts Space Industries\StarCitizen\LIVE. Verify game files. In the Launcher, click Settings > Verify. This error is typically due to authentication between your computer and our game servers. For more information, see Troubleshoot error 15006. This is a generic disconnection code, but can generally be resolved by attempting to login to the game again. Should you get this error on a continuing basis, please get your game.log and submit it and a description of the problem in a ticket to our support team. Code 20000/30000 is our general timeout message. This appears when the player loses connection to the game server (server crash) or times out connecting but remains connected to the hub server. An internal example of the latter occurred in our QA environment (this never made it to public) when one client would exit the game and all other clients were forcefully disconnected. Verify game files. Click Settings in the Launcher and click Verify. Completely close the RSI Launcher and try logging in again. Make sure you don't have multiple launchers running. Code 20003/30003 is a version mismatch which occurs when the server checks the version of the game installed and finds that there is an older version of the client. Fully delete and reinstall the game. Our matchmaking service contains several different rules to assign clients to servers. This response occurs when the matchmaking service puts someone into a server that is full. In most situations, the service should not assign you to a server that is already full, but we’re finding edge cases where this gets returned. We’ll continue to isolate, identify, and fix these as they come up. Leave lobby and recreate, or rejoin. Players receive this error code when they're kicked for friendly fire. Try to be a little more judicious with your aim. Code 20007/30007s occur when the game client receives information that it isn’t expecting. Malformed data or unknown object requested by the server. A good example is when a bad asset in the game exists, such as when we discovered that Cutlasses were disconnecting all clients on the internal QA server because of an invalid ID. Try selecting a different game server before pressing the Visit Spaceport button. In the drop-down at the top, select and try EU, US or AUS. Try running as administrator. Right-click on the Launcher shortcut and select Run as Administrator. For more information, see Troubleshoot error 30007. Code 20008/30008 is something players rarely see unless they're specifically told to make changes during testing. This occurs when logindata.json is pointing at an incorrect environment, which causes an authorization error. This issue can also occur when the hub server crashes causing client to disconnect. Delete logindata.json in (installed drive)\Program Files\Roberts Space Industries\StarCitizen\LIVE folder then run the Launcher. This file should be removed with every run of the Launcher. You may want to verify the file is deleted with the launcher closed. When someone successfully connects and authenticates into a game server but times out when verifying the session. The client has a blank session token. Client has no keyboard/mouse detected. Character already exists in the server client is connecting. Client disconnects with no other reason given. This is a generic error code for any scenario not covered by other codes. Remove user.cfg file in (installed drive)\Program Files\Roberts Space Industries\StarCitizen\LIVE folder if present. Players may see this mode when attempting to join a game mode when a game session has already started and they cannot join this game mode mid-game. Currently this should never happen. Restart or reconnect to lobby. The server failed to spawn a spaceship that was required for the selected game mode. Generally an issue with game rules which players cannot currently change. Retry to connect to game mode. You may receive a 20025/30025 error of data mismatch when loading different aspects of the game like entering a mode (arena Commander, Universe, etc). This typically occurs when the files on your local system are a patch behind what is on Live. You may had issues when fully deleting and installing or patching your game. Remove USER folder in (installed drive)\Program Files\Roberts Space Industries\StarCitizen\LIVE and perform a Verify in Launcher. For more information, see Troubleshoot Error 30003 - 2025 - 30025. Players see this code after being kicked for inactivity. If players see this while not being inactive, ensure time/clock on your computer is working properly, possibly by configuring an internet time server. Lobby error: Occurs when your session times out inside a game lobby. Multiple Launchers running: By default, the Launcher continues running even if you click the X to close. You can check your Windows Tray for any additional Launchers. To always close the Launcher when clicking X, select the Quit launcher when window is closed in Settings. Blocked or in-use port: CIG uses a specific range of ports for the game, cloud servers, Hub, and more. We tend to use one specific for the game - 64090. Depending on issues, access, and so on, our cloud servers may cycle through the port range. These ports include: TCP 8000 - 8020 and UDP 64090 - 64110. However, one of those ports (UDP 64090 - 64110) may already be in use on your router/ISP router by another game, service, or application. If already in use, your computer assumes this is a Blat attack/form of DDoS attack. You can check the ports on your router, or contact your ISP for help. Modem issue: Some modem types/firmware are determining the connection to Star Citizen PTU as a form of DDoS attack. We just uncovered this one. And it causes the same issue you are encountering. The model encountering this issue primarily is TP LINK TL-SG3216 V2 (Firmware 1.0.2). If you have this model, you will need to access the options and configurations for the model. You need to disable DDOS-detection specifically for blat-attacks. This will keep the access from detecting as an attack and let you through. For more information, see Troubleshoot Error 40014.